(WJBK) - Metro Times' biggest and most anticipated issue of the year hits newsstands this week. 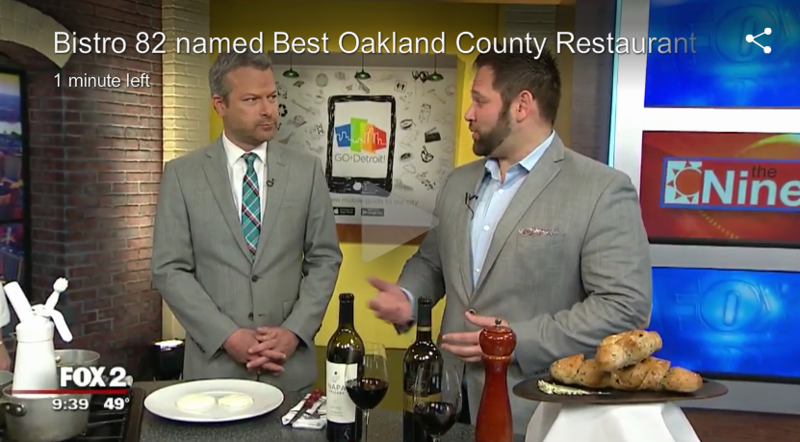 It names Bistro 82 Best Oakland County Restaurant. Chef Derik Watson and Scott Sadoff, Bistro 82's Director of Operations, joined us on The Nine to tell us more about the restaurant, and show us how to prepare one of their dishes. You can find their filet mignon recipe below. Bistro 82 is on Lafayette Avenue in Royal Oak. For more information on the restaurant, visit www.bistro82.com.